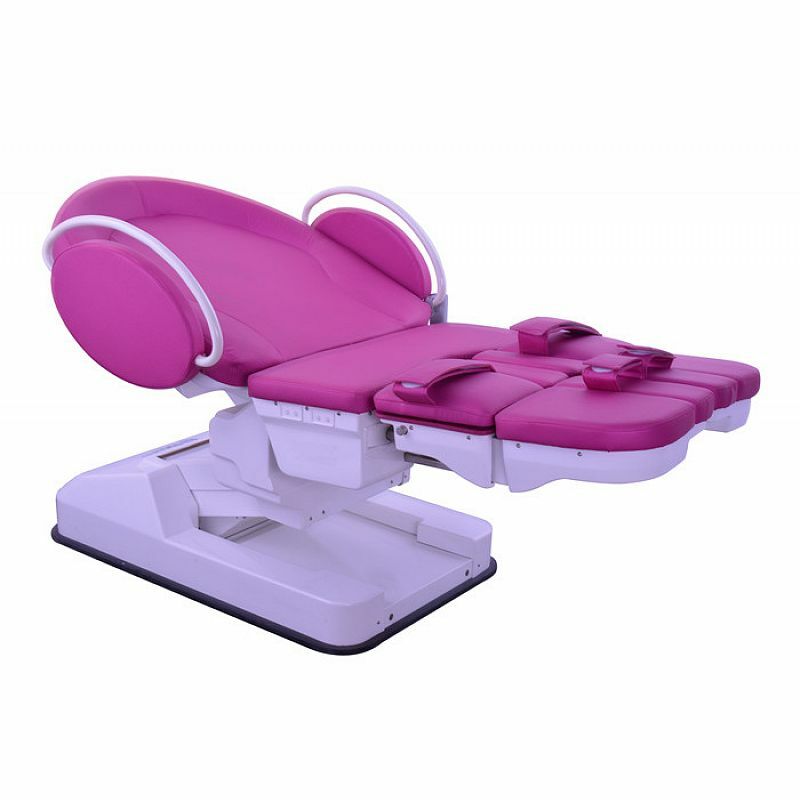 DW-HEDC03A Muti-function electric obstetric table is designed by ergonomic principle, it is suitable for sick and delivery. All the functions are controlled by digital, using the low voltage DC motor to drive. Its operation safe and reliable. There is a high-performance auxiliary power into the table to avoid to maintain and there is no worry that hydraulic operation causes losing extra oil. 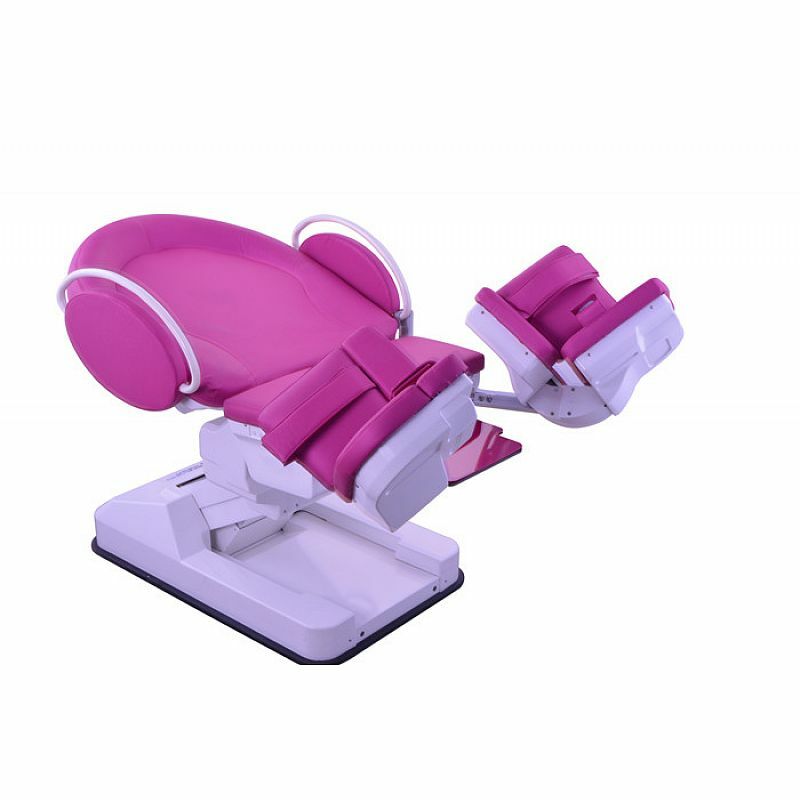 It can be easily performed from sickbed to obstetric table within the shortest time. After folding the foot plate by manual, it can electronically open or close depending on pregnant women’s requests and delivery status.The back board and the seat board can electronically adjust the supine degree according to requests, so that to satisfy the needs of sitting posture, supine posture, lateral posture, semi-supine posture, squat posture, prone posture and so on. Return pulley controlled by motor can stretch out at the height of 60mm, to avoid all kind of difficulties from the ground. The totally enclosed Shell adopt ABS material, convenient to clean and disinfect. 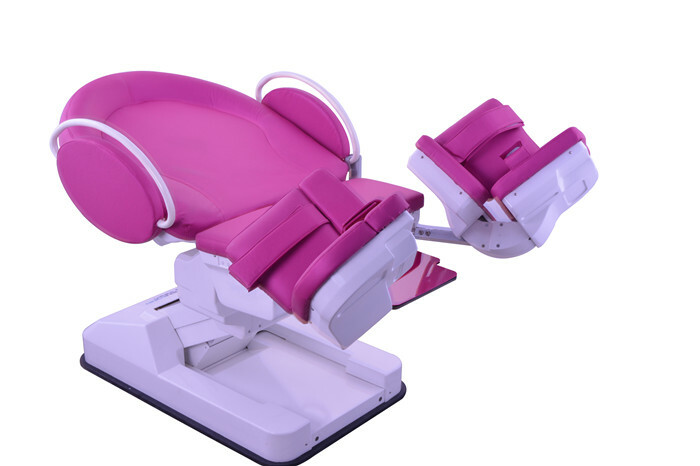 It has the range of oversized adjustable height, the min height is 550mm, it is convenient for a pregnant women who need to up and down, to create a related atmosphere, and to reduce the tension of the pregnant women.